What's the Police Check Badge? 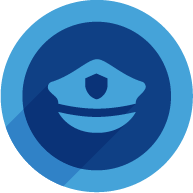 Every business is entitled to show a Police Check Badge if they've passed the National Crime Check here https://serviceseeking.nationalcrimecheck.com.au or an equivalent national criminal database certification. The badge will display on your Profile and in all your quotes to customers for 1 year from the date of certification. To activate your badge, just send your existing certification to support@serviceseeking.com.au or purchase one for a great partner rate here https://serviceseeking.nationalcrimecheck.com.au.